The most dreadful calamity that perhaps ever befell this district has occurred within the last few days. 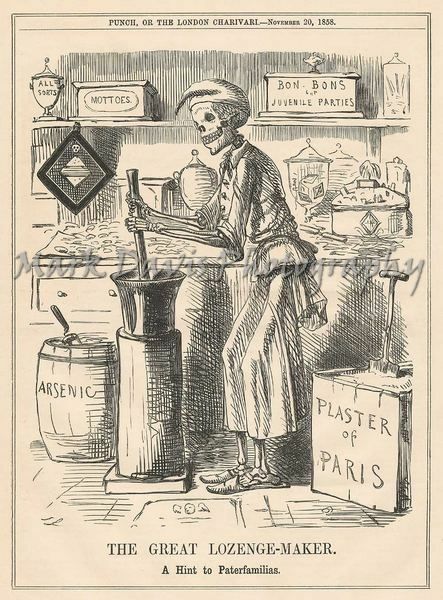 The careless and negligent use of a deadly poison –arsenic-has had the unhappy result already of depriving no fewer than 17 persons of life, and of filling innumberable homes throughout a wide district with suffering, mourning, and woe. On Sunday morning, two instances of sudden deaths were reported at the Borough Police Station. Two boys – one nine years of age and the other eleven – were reported to have died suddenly. The coincidence, considering the early years of these persons, was certainly an alarming one, duly considered, but, as there was apparently no grounds for suspecting anything unnatural in the incident of these sudden deaths, the fact was duly chronicled in the ‘records of the Police Station, without any grave alarm being excited. As the day wore on, however, the circumstances provoked the fitting suggestion as to the immediate cause which had thus violently stricken down such early boyhood. Sudden deaths were rapidly multiplying on every side, and it was also stated that there was sudden and violent illness in many a household, which death had already filled with melancholy. It seemed for a brief period in some districts as if a dreadful plague had smitten us. The attention of the police officers was closely attracted to the circumstance, and on Sunday evening several officers were engaged in an endeavour to ascertain the cause of so much sudden illness and death. In one house in Jowett Street two fine boys named Burrans lay dead, and several person residing in the same dwelling were suffering severely from illness, which was accompanied with violent and frequent vomiting. They had all during the day eaten some peppermint lozenges, and though there had been some doubts upon the point, it was ultimately agreed on all hands that the peppermint lozenges had been the cause of the illness and death of the brothers. 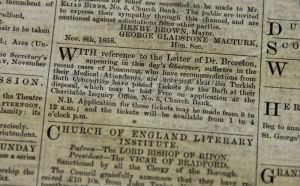 Mr Burniston, one of the detectives was pursuing his inquiries, and was satisfied, on calling at the afflicted dwelling of the Burrans, as to the cause of the increasing calamity. He inquired where the lozenges had been bought, and found that they had been bought on Saturday night in the Market Place of a vendor of sweetmeats, named Wm. Hardacre, residing in North Wing. He visited Hardacre and found him suffering also from eating one of his own lozenges. He was told that the lozenges which had been sold in the market had been bought of Mr. Joseph Neal, a wholesale dealer in confectionery, residing in Stone Street. The officer proceeded to Mr. Neal’s house, and on inquiry he there ascertained that the lozenges had been compounded partly of sugar and partly of a mineral ingredient, technically called “daft” or “terra alba,” described by a chemist as simply plaster of Paris, but said by Neal, who also in familiar with the use of it, to be produced from Derbyshire spar. Twelve pounds of this spurious substance, intended as a substitute for the sugar, had been mixed with about 401bs. Of sugar, thereby producing by adulteration at about 8d. per pound lozenges which otherwise could not be obtained for less than 10d. or 1s. Per pound. These lozenges had been made by Neal to “the order” of Hardacre. 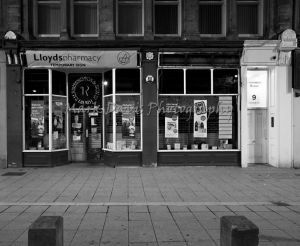 The officer, from inquiry of Neal, became satisfied that some mistake had arisen in reference to the supply of the daft, especially when he found that it had been bought from the shop of a druggist named Hodgson, residing at Shipley. He resolved to go thither, and started out in company with Neal. On arriving there, he waited at Mr. Hodgson’s house for two or three hours, being wishful to see Mr. Hodgson. As at length it appeared doubtful whether he would return home that night, the officer put several inquiries to a youth named Wm. Goddard, whom he found there, in the capacity of an assistant for a temporary period. Goddard at once admitted that he had about a fortnight ago sold 12 1bs. of what he called daft to a person from Bradford. He showed the officer the cask whence he had given the “daft” as he supposed, and while the officer was endeavouring to make out the nature of the article it contained-which Neal had declared was not “daft” – by label or otherwise, Mr. Hodgson entered and made known to them the alarming fact that the cask contained – arsenic! The officer at once removed the youth Goddard to the Bradford Police Station. Energetic steps were immediately taken to publisli the fact far and wide in order to induce caution and safety. Police officers carried the sad news into their beats. The quiet slumbers of innumerable persons were broken at midnight by the bellman’s warning. As soon as daylight dawned, the walls of the town and district were thickly covered with an official precaution from the chief constable. The excitement and alarm on Monday morning was intense, and it has continued to increase from day to day as the reports of death and illness have begun to multiply. The members of the medical profession were never so busy as they have been these last few days. Lists of the dead and suffering have been published, but so far as the sufferers are concerned, these lists are utterly worthless in conveying an adequate notion of the extent of those affected with this poison plague. 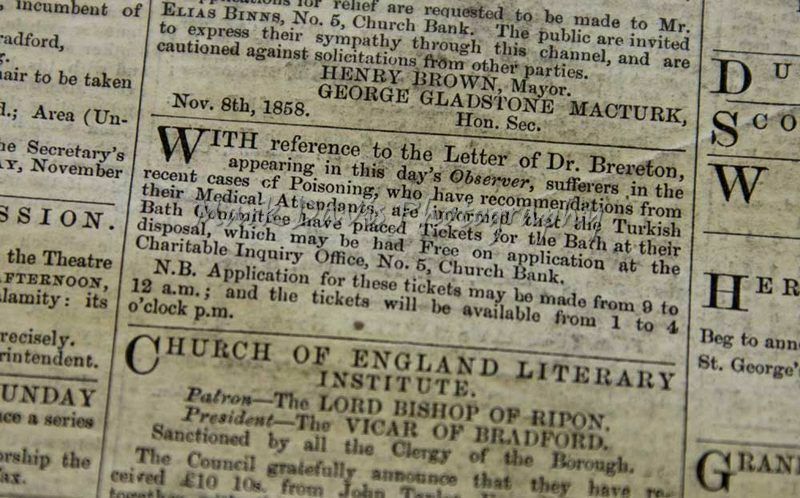 We have heard of several medical gentlemen who have had as many as twenty and thirty patients, and yet the names of these sufferers have never been returned to the police station, the sufferers may be counted by hundreds. The list of sufferers published is only an approximation to the extent of the wide-spread mischief. We have stated that no complete and accurate list has been published; nor is such a list to be had. Almost every medical man has had some of these cases under his care – many of them very largely, and the great bulk of these cases, there is every reason to believe, have not been published at the police station. 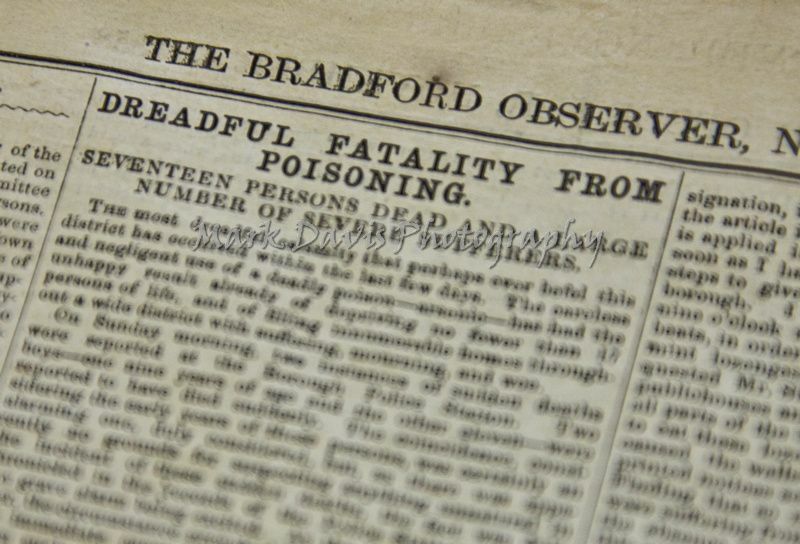 The total number of deaths thus recorded up to last night was 17, and the number of cases of illness about 193. Orlando Burran, aged 5, and John Henry Burran, aged 3 years, sons of Mark Burran, 30, Jowett Street, Manchester Road, Bradford. Elizabeth Mary Midgley, aged 7, Margerison Street, Bermondsey. Elijah Wright, aged 9, 62 Queen Street, Bradford. 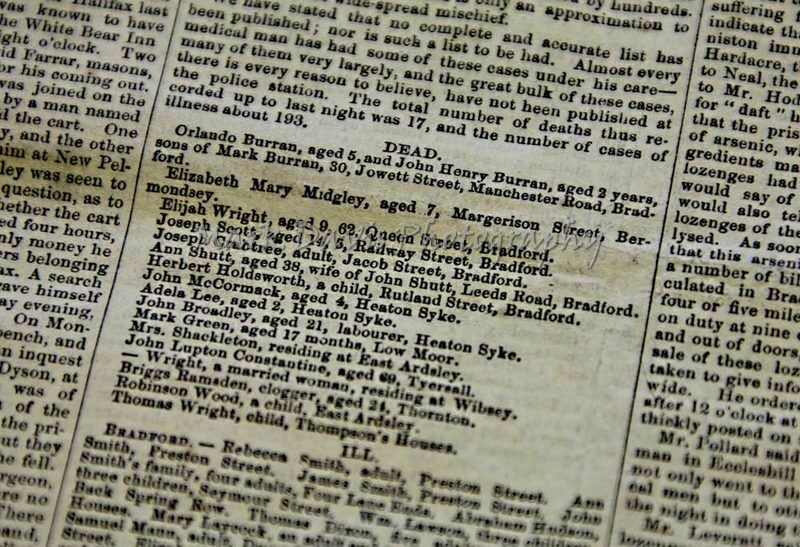 Joseph Scott, aged 14, 5 Railway Street, Bradford. Joseph Crabtree, adult, Jacob Street, Bradford. 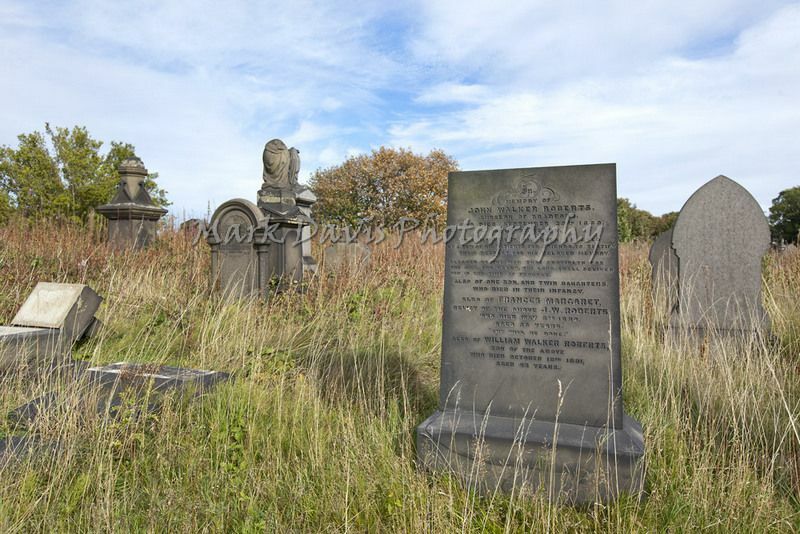 Ann Shutt, aged 38, wife of John Shutt, Leeds Road, Bradford. Herbert Holdsworth, a child, Rutland Street, Bradford. John McCormack, aged 4, Heaton Syke. Adela Lee, aged 2, Heaton Syke. 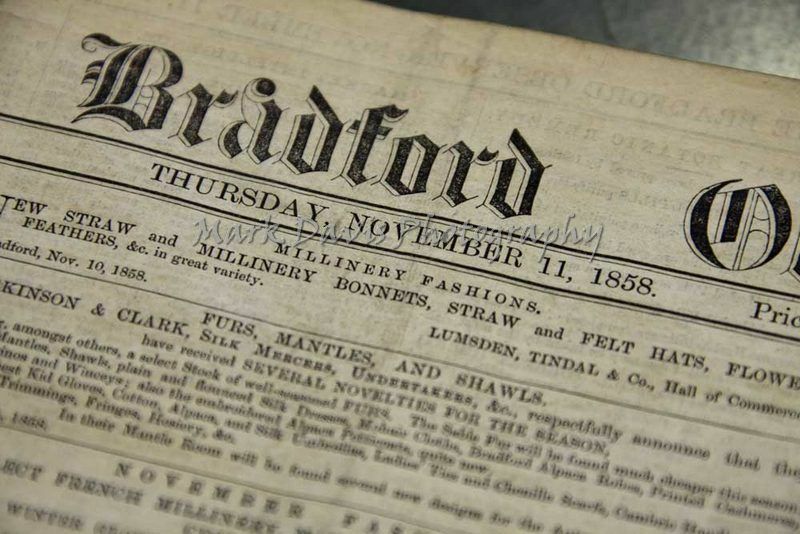 John Broadley, aged 21, labourer, Heaton Syke. Mark Green, aged 17 months, Low Moor. Mrs. Shackleton, residing at East Ardsley. John Lupton Constantine, aged 69, Tyersall. – Wright, a married woman, residing at Wibsey. Briggs Ramaden, clogger, aged 24, Thornton. Robinson Wood, a child, East Ardsley. Thomas Wright, child, Thompson’s Houses. BRADFORD. 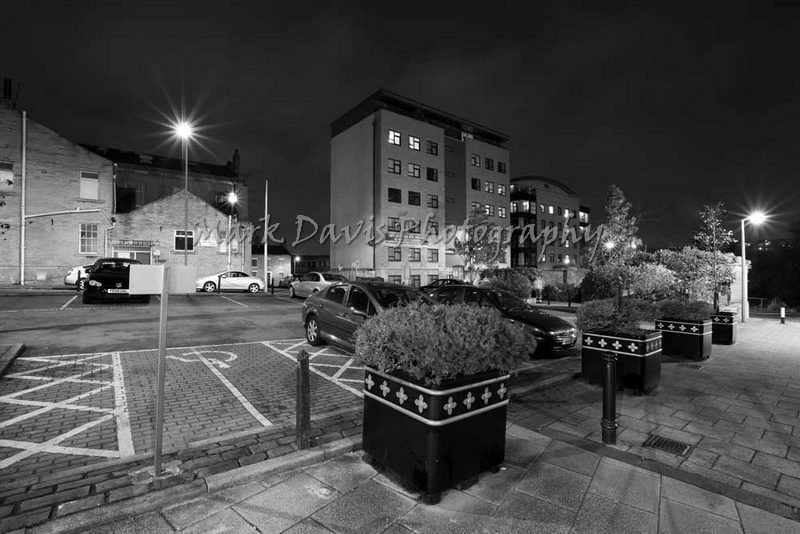 – Rebecca Smith, adult, Preston Street. 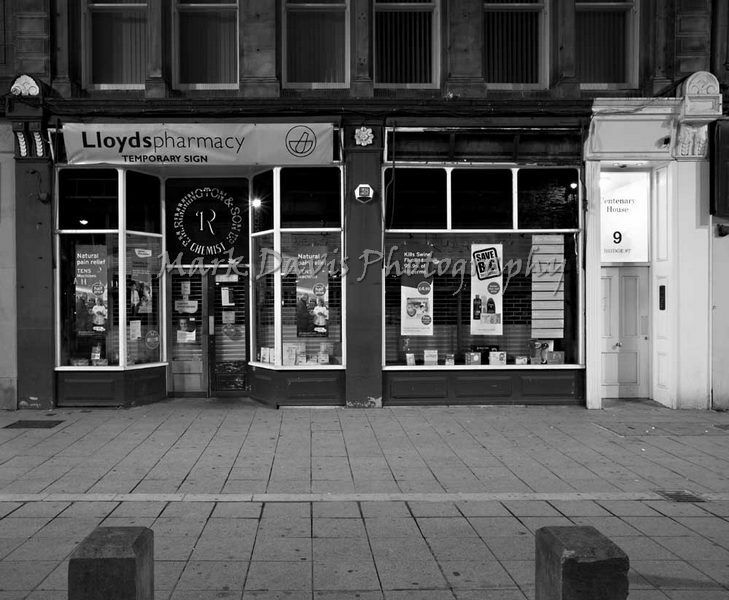 Ann Smith, Preston Street. 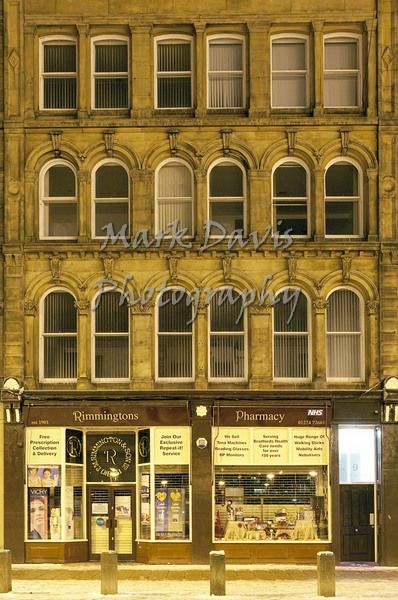 James Smith, Preston Street. John Smiths’s family, four adults, Four Lane Ends. Abraham Hudson, three children, Seymour Street. Wm. Lawson, three children, Back Spring Row. Thomas Dixon, five adults, Thompson’s Houses. Mary laycock, and adult and a child, Fitzgerald Street. Samuel Mann, adult, Daisy Hill. Elizabeth Watson, adult, Jury Street. Elizabeth Downbrough, adult, Preston Place. Grace and ERlizabeth Chisley, adults, Preston Place. Walter Crusher, adult, Crown Street. William Stead, adult, Crown Street. Elizabeth Jowett, adult, Bower Street. – Frankleton, three children, Thornton Street. Joseph Stott, adult and two children, Croft Street. Hannah Neamont, adult and child, Croft Street. Benjn Tetley – two adults, Swaine Gree. Hannah Isles – two children, Swaine Green. Eliza Thompson – adult, Mulgrave Street. John Cosgrane – adult, Eastbrook Lane. 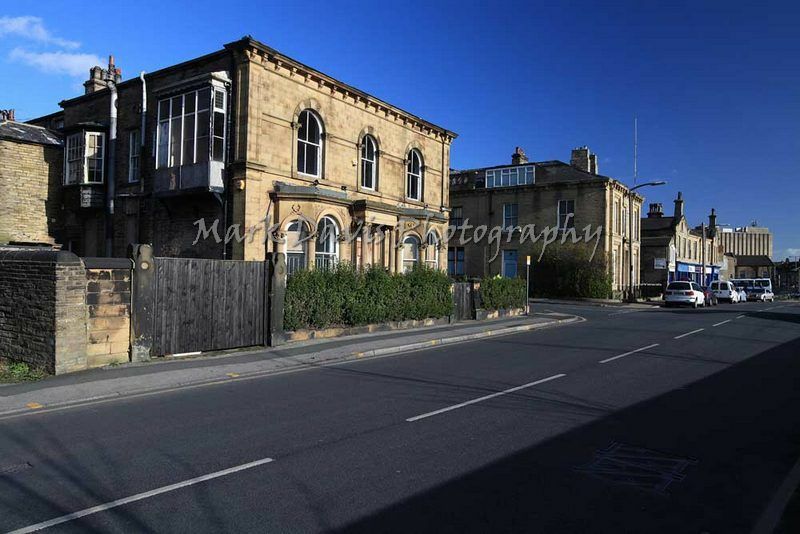 – Pease – three adults and two children, Manchester Road. 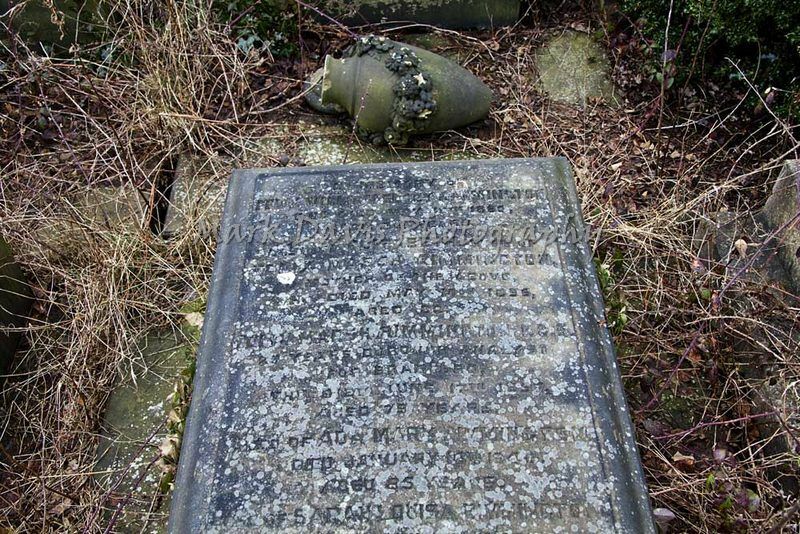 John Dennison – two children, Scarr Hill. James Whitehead – one child, Scarr Hill. Richard Murgatroyd – two children, Scarr Hill. Mrs. Taylor – one child, Scarr Hill. John Freeman – one adult and one child, Scarr Hill. John Patchett – two adults, Scarr Hill. James Cooper – adult, Scarr Hill. Richard Hartley – child, Scarr Hill. John Swaine – six children and two adults, Bowling Back Lane. Sarah Midgeley – adult, Margerison Street. Martha Armitage – adult, Nursery Lane. Leah Graces – adult, Nursery Lane. 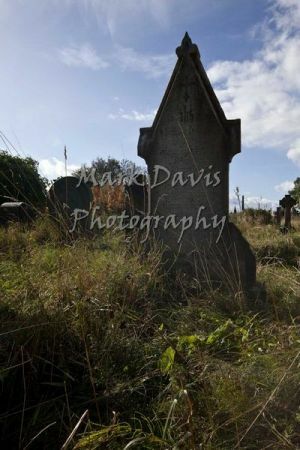 Mary Wilkinson – child, Daisy Hill. John Mann – three children and two adults, Daisy Hill. Elizabeth Fletcher – adult, Marsh Place. Martha Bairstow – adult, Marsh Place. Abraham Bairstow – adult, Marsh Place. Martha White – adult, Little Horton Lane. IDLE: Recovered. – George Skirrow, 30, clothier; Betty Skirrow, 29, clothier; Sarah Ann Skirrow, 2. 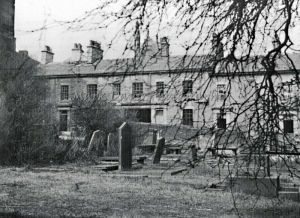 BAILDON: Holmes’s family, four adults. QUEENHOW, near Thirsk: Henry Clark and John Clark, adults. ECCLESHILL: Recovering. – Charlotte Paget, 42, no trade; Grace Paget. 16, no trade; Richard Taylor. 18, labourer;Thos Curtis, 18, joiner; Samuel Hartley, 10, schoolboy; Catherine Duxbury, 9, schoolgirl; Ann Murgatroyd, 20, mill hand; Emma Dennison, 13, mill hand; Abram Denison, 9, schoolboy; John Patchet, 46, mason; Benjamion Waterhouse, 48, weaver; Martha Waterhouse, 44, no trade. SHIPLEY: Dangerously Ill. – John Golden, 22, mill hand; Mary Golden, 53, no trade; Jacob Boston, 10, schoolboy; Jane Boston, 22, mill hand; Ingham Sutcliffe, 14, mill hand; Jane Sutcliffe, 49, no trade; Margaret Ann Wood, 25, weaver. Recovering. – Mary Golden, 21, weaver; Jemima Wood, 35, weaver; David Fortune, 59, comber; James Boston, 14, mill hand; Mary Boston, 18, mill hand; William Sutcliffe, 56, weaver; John Sutcliffe, 27, weaver; Isaac Garth, 15, mill hand; Mary Boston, 55 no trade. HEATON: Dangerously Ill. – Kester Ardester, 23, delver; Zilpha Child, 53, no trade; Samuel Child, 22, delver. Recovered. – Joseph Greenwood, 41, delver; Ruth Greenwood, 12, servant;William Hollingworth, 13, labourer. Recovering. – Grace Ardester, 63, no trade; Grace Ardester, 17, mill hand; Sophia Child,94, mill hand; Mary Elizabeth Chatband, 5, mill hand; Sarah Waterhouse, 26, mill hand. 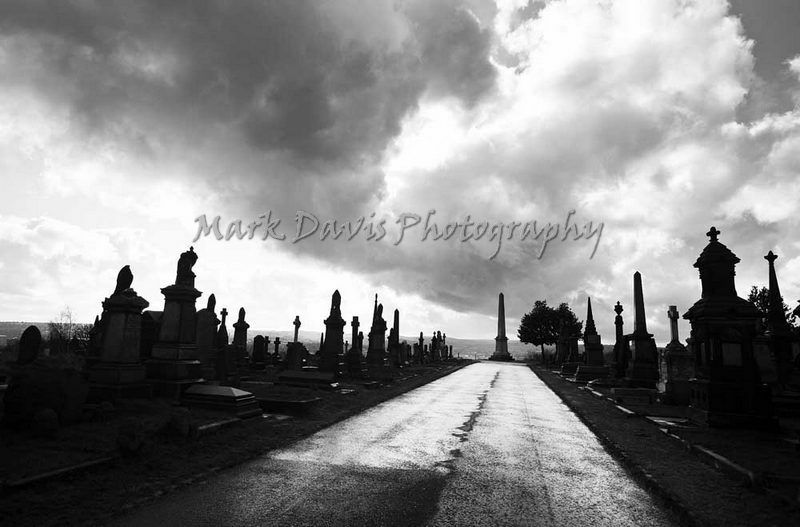 LOW MOOR. – Samuel Bartle, 17; Lea Bartle,10; Deborah Burnett, 51; Love Tordoff, 5; Joseph Taylor, 20; John Mason,18; Susannah Walker, 6; Jane Walker, 5; James Green, 20; Samuel Walker, 35; James Bartle, 19; Elizabeth Bottomley, 33; Henry Bottomley, 3; Elizabeth Bottomley, 60; Mary Bottomley, 30. GREAT HORTON. – John Beaumont, adult; Mary Beaumont, adult; Hannah Bennett, two adults; Hannah Priestley, child; Thomas Thompson, four children. CLATTON HEIGHTS. – Henry Wilcock, 55, toll bar keeper; Sarah Wilcock, 53, wife of the above; Hannah Wilcock, 23, daughter of the above. WIBSEY: Dangerously Ill. – Mary Wright, 40 married woman. TONG MOOR: Recovering. – James Wheatman; Nancy Wheatman. THORNTON: Dangerously Ill. – Betty Northrop, 63; Elizabeth Ramaden, 2. WINDHILL: Recovered. 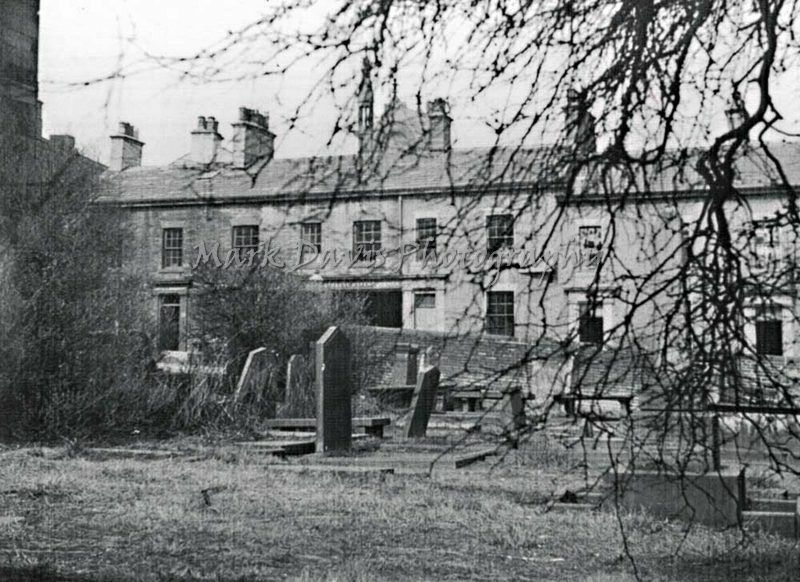 – Margaret Chapman, 23, mill hand; Milly Chapman, 27, mill hand; Elizabeth Chapman, mill hand; Elizabeth Brook, 35, mill hand; John Brook, 40, labourer; George Dalton, 35, mill hand. Recovering: Ellen Pitts, 11. 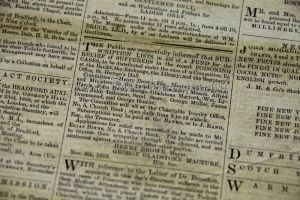 On Monday morning, Willaim Goddard, the young man who had sold the arsenic, was placed in the dock of the Borough Court; the magistrates present being the Mayor (H. Brown, Esq.) Joshua Pollard, Esq., Wm. Murgatroyd, Esq., and Mr. Alderman Rand. Mr. Leveratt, the chief constable, said – I wish to ask your worships to order the prisoner to be remanded. I will give the reasons why I ask this. Yesterday morning, on arriving at the office, I found that two boys, one about nine years of age and the other eleven years, had been reported to have died suddenly, but not suspecting that their deaths were to be attributed to other than natural causes, I took no steps in the matter in the way of further inquiry or otherwise. In the evening, however, it came to my knowledge that many other persons in different parts of the borough were very ill, and that more had died. It was then stated that the illness and death of these persons was supposed to be caused by their having taken peppermint lozenges, which had been purchased in the Green Market, and which were supposed to contain poison. This led to inquiry, and it was now ascertained that the lozenges had been sold by a person named William Hardacre, who retailed them in the market, and that he had purchased them off a person named Joseph Neal, a wholesale dealer in confectionery, in South Street. 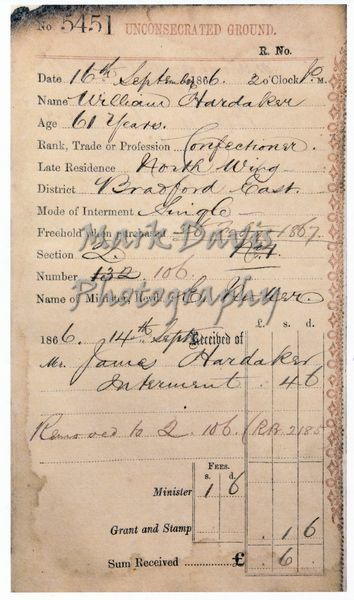 From the information given by Mr Neal, Burniston, one of the detective officers, went to Shipley, and there found that the prisoner, who was in the service of Mr. Hodgson, a druggist, had, about a fortnight ago, given to either Mr> Neal or a man in his services 12 lbs. Of arsenic instead of the article he was asked for, namely, “daft,” or some such name, which is another designation, in fact, for plaster of paris, although, I believe, the article is procured from some parts of Derbyshire, and is applied in the adulteration of peppermint lozenges. As soon as I had ascertained these facts, I immediately took steps to give information and warning in all parts of the borough. I instructed the night police going on duty at nine o’clock to make these facts known in their respective beats, in order to put all persons who had bought pepper mint lozenges in the market on their guard. I also requested Mr. Shuttleworth to make the facts known in all public houses and beer houses, and I sent two bellmen into all parts of the borough to give warning to all persons not to eat the lozenges. And as soon as daylight dawned, I caused the walls of the town to be thickly placarded with printed notices setting forth the same caution to the public. 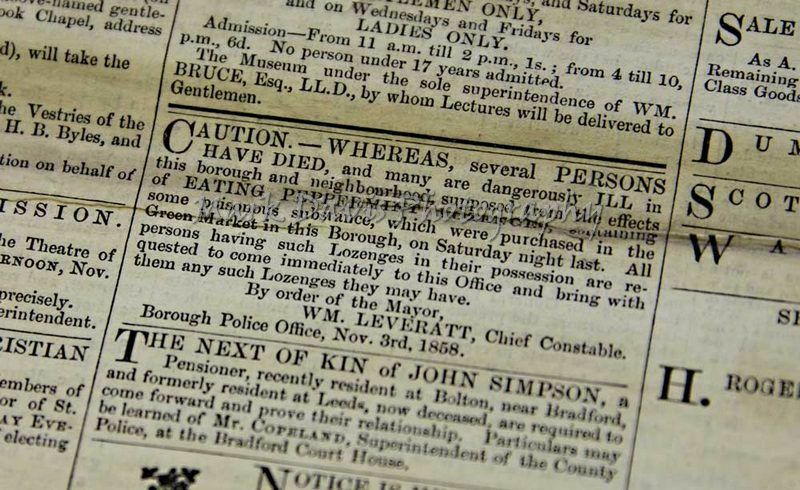 Finding that so many persons had died and many others were suffering from the same causes, I took upon myself, in the absence of your worship, the responsibility of issuing this printed notice, which has been circulated very plentifully, not only in Bradford but in all places within a distance of five or six miles of Bradford. Having satisfied myself of the facts I have stated as to the cause of these deaths, I felt it to be my duty to lock up the young man who sold the ingredient-arsenic. He lives with Mr. Hodgson, a druggist, at Shipley. There are already ten persons reported to me as dead, and there are about 40 others reported as suffering severely from eating the lozenges. I have no doubt there will be a much greater number reported before night. There are no doubt many persons residing in distant places, who have partaken of these lozenges. I have one person reported as dead at East Ardsley. Mr. Murgatroyd: How many deaths are there? Mr. Leveratt: Ten authenticated at present. Mr. Murgatroyd: And how many ill? 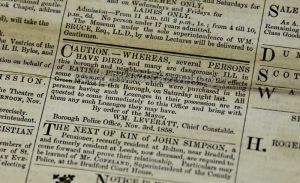 Mr. Leveratt: About forty persons ill, some of them dangerously ill.
Mr. Murgatroyd: Have you the names of the persons who are reported as dead? Mr. Leveratt: I have not the names of all the persons who are dead, but I know the deaths have occurred. I have most of the names. At Heaton, there are three persons dead, but I have not got their names. The Mayor: Every effort has been made to spread the information and give due warning in the district? The Mayor: You ask for the remand of the prisoner? Mr Leveratt: I ask your worships to be kind enough to remand the prisoner till the coroner’s inquest has been held, which will be held tomorrow or Wednesday. He is the person who gave the 12lbs. Of arsenic, which was mixed up by Mr Neal and his assistant in about 40 lbs. weight of lozenges. I have 35 lbs. Of these lozenges in my possession. Neal is a wholesale manufacturer, residing in Stone Street. Mr Rimmington, analytical chemist, has analysed some of these lozenges, and he informs me that one lozenge is more than sufficient to kill one person. Mr Alderman Rand: How were they sold? Mr Burniston: Two ounces for 1 d.
Mr Alderman Rand: How many lozenges would there be in an ounce? Mr Burniston: Twelve or fourteen. Mr Alderman Rand: Then one ounce would be sufficient to kill twelve persons. The magistrates then consulted for some time. The Mayor then said that the prisoner would be remanded. Mr Leveratt said that he was also indebted to his men, for they had acted a most judicious part in having, in most instances, taken upon themselves the responsibility of spreading information and caution in reference to these lozenges. The prisoner was then remanded. On Tuesday morning, William Goddard was again placed in the dock at the Court House. The magistrates present were the Mayor (H. Brown, Esq.) Joshua Pollard, William Walker, Esq., William Murgatroyd, Esq., Mr Alderman Rand, Samuel Laycock, Esq., W. B. Addison, Esq., and Swithin Anderton, Esq. Mr Lees appeared on behalf of Goddard, and Mr. T. Watson appeared to watch the case on behalf of Mr. Neal. Mr. Leveratt, the chief constable, stated that the prisoner at the bar was remanded on the previous day on a charge of having delivered a quantity of arsenic to a man named James Archer. When he (Mr. Leveratt) arrived at the police station on Sunday morning, he had two deaths reported to him of two boys who were represented to have died suddenly, he had no reason at the time to suspect that the boys had died from anything but natural causes, and made no inquiry in references to them. He left them for the coroner to make the usual inquiry. On Saturday evening, information was sent to the office that a great number of persons were suffering from sickness, the symptoms being such as to indicate that the person had taken poison. Detective Burniston immediately took up the case. He went fist to Hardacre, the retail vendor of the lozenges. Next he went to Neal, the wholesale manufacturer, and from Neal he went to Mr Hodgson, of Shipley, from whom 12 lbs of arsenic for “daft” had been obtained. Burniston then ascertained that the prisoner had delivered to Archer for Neal 12 lbs of arsenic, which was afterwards mixed in the various ingredients manufactured into mint lozenges. Some of the lozenges had been analysed by Mr Rimmington, and he would say of what they were composed. P.C. Campbell would also tell the court that he had received 85 lbs of lozenges of the same kind as those which had been analysed. 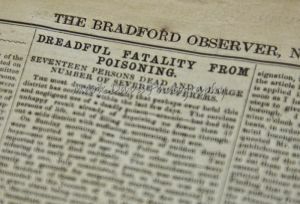 As soon as he (Mr. Leveratt) received information that this arsenic had been delivered at Shipley, he ordered a number of bills to be printed and caused them to be circulated in Bradford and in all places within a circuit of four or five miles. He also ordered the policemen going on duty at nine o’clock to make known everywhere indoors and out of doors, what had occurred with reference to the sale of these lozenges. In fact, every possible step was taken to give information and to spread the warning far and wide. He ordered a number of bills to be printed shortly after 12 o’clock midnight, and at daylight these bills were thickly posted on the walls. 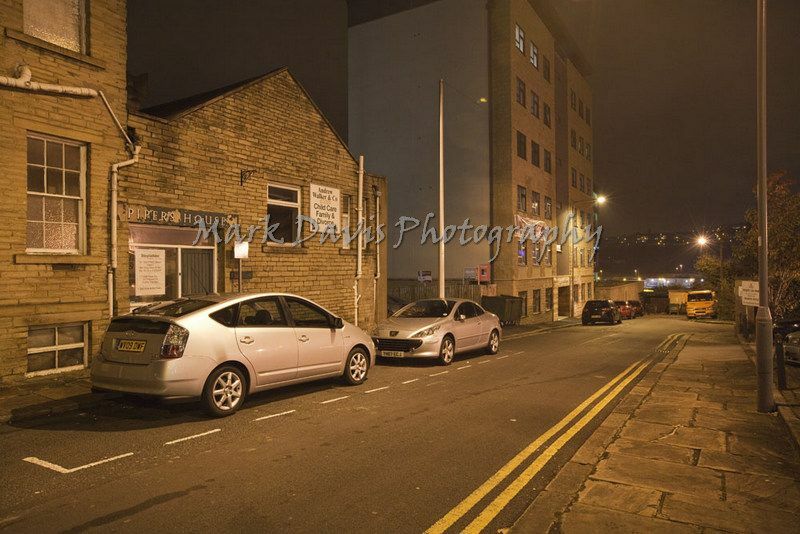 Mr. Pollard said (as we understood) that there was a poor man in Eccleshill who had two children taken ill, and he not only went to the medical men to give warning to medical men but to other persons also, spending the hours of the night in doing this. 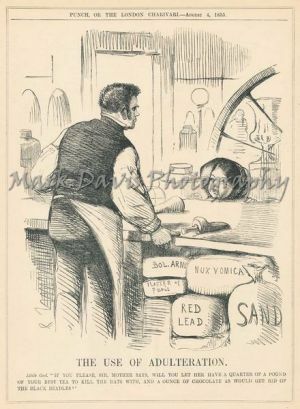 Mr. Leveratt said that Hardacre, the vendor of the lozenges, was also very ill.
Neal knew at once from the touch when he examined it that it was not daft. I then began to examine the cask, in order to see if I could ascertain what it really was. The prisoner then told me that his master was ill at the time he delivered the article. He asked him where he could find the daft, and told him that he would find it in the corner of the room; he went there, as he supposed, and he weighed 12lbs. of it from the cask and delivered it for daft. While we were trying to find whether there was a label on the cask, Mr Hodgson came in, and I immediately replied “arsenic!” This was before I had said anything to him about daft; in fact, I found that the daft was in an opposite corner of the room from where the arsenic was. I then said that, under the circumstances, I felt it to be my duty to take the prisoner into custody. I then brought him away. I went to the chief constable and explained to him how matters stood. 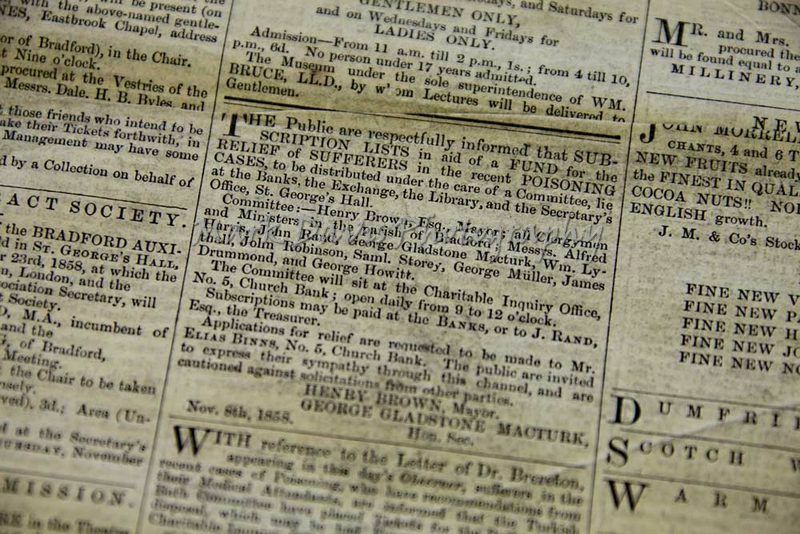 He drew up a bill and I went and got it printed; I also caused it to be posted in the borough and in all places within a distance of four or five miles of the borough. This bill contained a caution to the public against eating lozenges. I found no mark or label on this cask which contained the arsenic. The lid was broken into three pieces. I locked the prisoner up. There was neither mark nor label upon the cask. Mr Neal and I looked at it and we did not observe any. Mr Hodgson was there and saw where we put it. I cannot tell whether the cask was of the same size and shape. One appeared to me to be a bag and not a cask. Mr Hodgson got a sample of daft and not of arsenic. I brought away a sample of daft and also a sample of arsenic. I have taken a sample of each to Mr Rimmington. By the Bench: I found no mark nor label on the cask containing the arsenic. As soon as I found out the mistake, I wished to get away as soon as I could to Bradford, in order to spread the necessary precaution. I do not think the young man had any idea till this moment that he had served an improper article. There is one great fault on the part of Hodgson. He knew he had left the cask exposed in this manner, and without label. The young man had been only three weeks in Mr Hodgson’s service, and he had no practice at all in the trade. I found Burrans had two children lying dead, and that he was ill and vomiting himself. By Mr Lees: I did not find any label on the cask. Neal was there as well as me, and we both looked for a label, and did not find one. I looked round the barrel and also on the broken lid. We could not turn the cask up to see whether there was one at the bottom. James Archer was next called. He said: I live with Neal. I take spice from Mr Neal to sell. I don’t make it myself, nor do I help to make it. I went to Shipley and brought this “daft” from Mr Hodgson’s. He told me to bring it. I went there a fortnight would be yesterday. I was going to Baildon, and I called, but as I thought there was no one in, I called as I came from Baildon. When I called, there was this young man in. IO asked him if the master (Mr Hodgson) was in, and he stated that Mr Hodgson was sick. I told him what I wanted-that I wanted some “daft.” I said there was to be about twelve pounds of it, and I should like him to oblige me with it. This person gave me the material. I am quite sure he is the young man that gave it to me. He told me to wrap it in two bags of canvass and put it in a tin box. 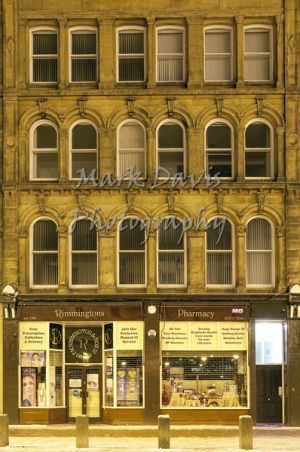 I took it to Mr Neal’s, in Stone Street, Bradford. I there left it on Mr Neal’s floor. It was given to the men and made into lozenges. I gave it to James Appleton, the man who made it into lozenges. I told him it was daft. I know nothing more of it. I don’t know whether it was mixed or not. Appleton is one of Mr Neal’s men. I don’t assist in making this spice. I don’t take any of this to sell. I don’t know what quantity of spice is made up at a time. Mr Hodgson had wanted me to take it. He asked me one time to take it, and Mr Neal said that I must bring some. I can’t just now say when he said this; but it was just before I went to Shipley. I did not pay for it. I live with Mr Neal. Mr Neal said I could bring 12lbs. of daft. I never fetched any before this time. I have been nearly two years with Mr Neal. I never fetched daft from any other place. 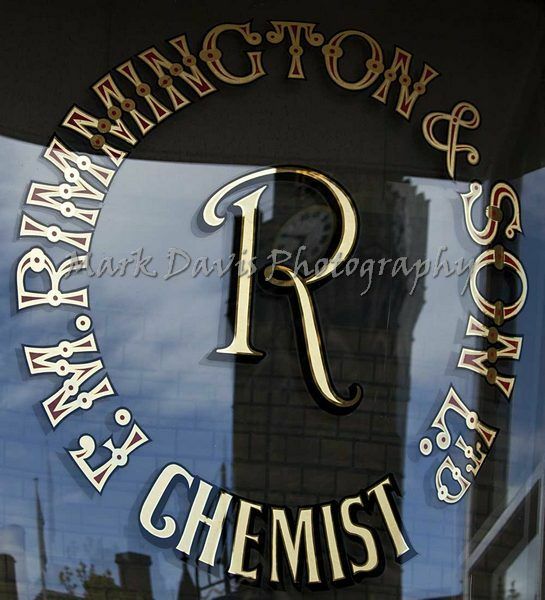 Ultimately the Chemist Charles Hodgson, Joseph Neale the sweet maker and the chemist’s assistant William Goddard were all charged with manslaughter through negligence although upon appearing at the Assizes in York on the 9th of December the Grand jury after taking advice from Justice Baron Watson discharged both Neale and Goddard blemish free. 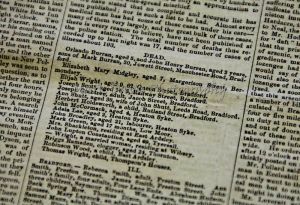 Hodgson on the other hand was remanded to appear later that month on 21 December at the same court charged with the manslaughter of 7 year old Elizabeth Mary Midgley. The trial did not last long, it being halted by the judge who after hearing evidence from Goddard stated Hodgson who was ill in bed at the time had taken every precaution to direct the young assistant to the correct cask containing the adulterant ‘daft’. Hodgson was officially found not guilty and released a free man just before Christmas. And so the infamous Humbug Billy Poisoning case went down in history as a dreadful serious of errors of which no one was to blame criminally. Billy himself received a certain amount of sympathy in the press having being almost paralysed himself but went on to continue in business selling confectionary in the same market until his death in September1866 aged 61. 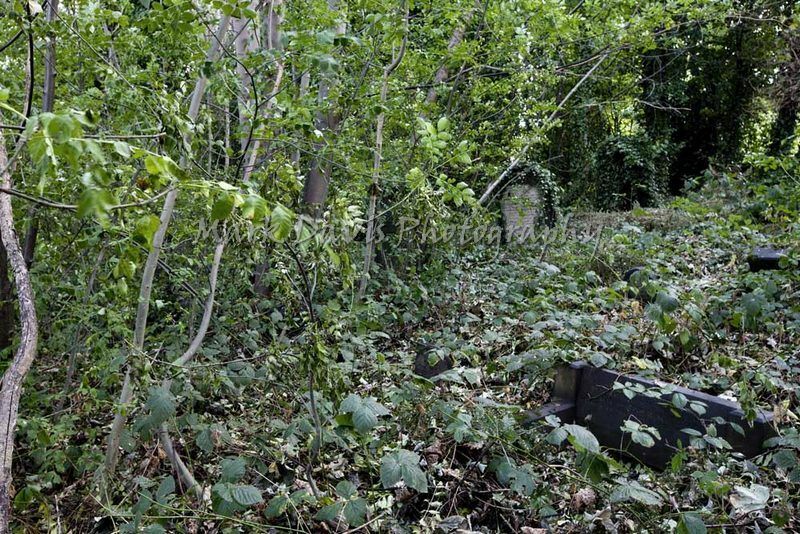 His grave is located near the cemetery boundary in the unkempt Q section (unconsecrated) and is unmarked. 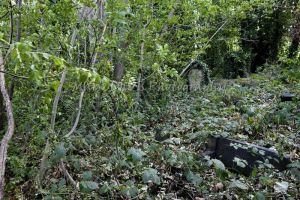 His freehold plot cost £6 including the minister’s charges. 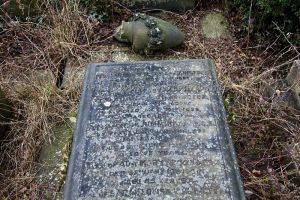 According to the burial record he was interred in grave number 132 but it is appears he was removed and re-interred into plot 106 soon after.